In that representation, it was the conduct of an enquiry by an official equal to the cadre of Civil Judge was requested. 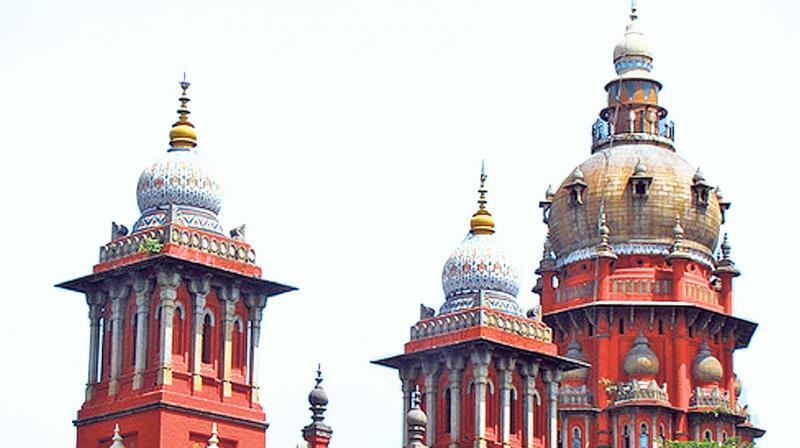 Chennai: Coming to the rescue of document writers whose licences were cancelled in 2002 for allegedly seeking an enquiry against a Sub-Registrar by a Judicial Officer, the Madras high court has directed the authorities to restore their licenses immediately. Allowing the petitions filed by K.N.Ranganathan, G.Chandarsha and P .S. Venkatesan, Justice K.Ravichandrabaabu said, “I find that the impugned action of the respondents (authorities) cannot be sustained. Accordingly, these petitions are allowed and the respondents are directed to restore the license to the petitioners forthwith, at any event, within 2 weeks”. The judge said it is seen that these petitioners are members of Vaniyambadi Document Writers and Copy Writers Association. The association made a representation before the authorities concerned against the Sub-Registrar of Vaniyambadi, purporting that the official was not performing his duties properly by maintaining the records. In that representation, it was the conduct of an enquiry by an official equal to the cadre of Civil Judge was requested. Hence, the Inspector General of Registration has chosen to pass the order cancelling the license of these petitioners only by stating that the petitioners are not entitled to seek for enquiry by the Judicial Officer, when the Collector is there to do the same. The IG of Registration also observed that the representation sent by the Association cannot be disowned by the petitioners being its members. When the order was challenged before the Commercial Tax secretary, the same was rejected by reiterating the very same reason on September 3, 2002. The petitioners approached the High Court, which remitted the matter back to the Commercial Tax secretary to rehear the appeal and pass orders on merits. Once again the Commercial Tax secretary passed the very same order by stating the very same reason, which is put to challenge in these petitions, the judge added. The judge said it was an unfortunate case where the petitioners were taken to task by the authorities simply because the Association, in which these petitioners were members, had given complaint/representation against the Sub-Registrar, Vaniyambadi. Merely because the Association has sought for an enquiry in the rank of the judicial officer, it does not mean that they have committed a grave mistake or error against the Registration department in seeking for such enquiry, warranting the cancellation of license of these petitioners. “Absolutely, I find no justification for canceling the license of these petitioners, who admittedly, have not given such complaint. Only the office bearers of Association have given such complaint. Even assuming that the petitioners can also be fastened with the responsibility of the said complaint, still I do not find any reason that giving such complaint itself would give a raise to the cause of action for the IG of Registration to cancel their license. Unfortunately, these petitioners are without license from the year 2002”, the judge added.